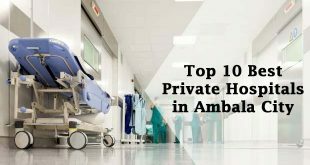 In this blog, we will tell you some Famous Haryanvi Dishes The only motive of this blog is to promote vast variety of Haryanvi cuisine. Haryana is rich in agriculture and known for its vivid culture. Haryana was carved out of East Punjab on November 1996. 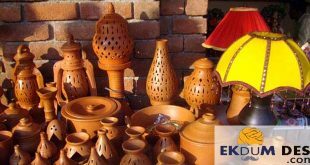 Haryana is a place with abundance of Desi Ghee, Butter, Milk and other dairy products It is also famous for its food. Haryanvi food. These foods are so much popular because of their taste and link to motherland. 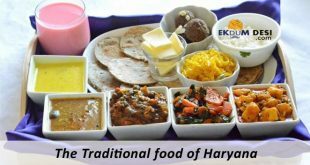 In Haryana there is generous use of Desi Ghee and dairy products in their cuisine. Kachri ki Chutney is most famous Haryanvi cuisine. Kachri is a commonly found vegetable in the state. It is a wild variety of Cucumber that resembles a small brown colored lemon. It can stay fresh up to one month if refrigerated and kept properly in air tight container. Mixed dal is healthiest and staple dish of Haryana. It is basically a blend of 4-5 protein rich Dal including – Chana Dal, Toor, Masoor and Moong Dal. 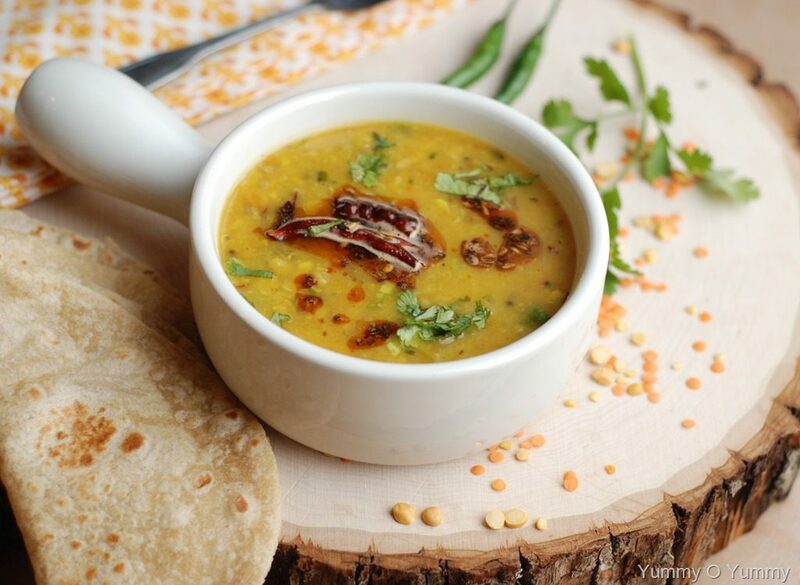 This Dal is prepared in pure Desi Ghee and it tastes so amazing that you just want to eat this Dal again and again. The best combination of Mixed Dal is with Jeera Rice. This dish is favorite of all Haryanvi’s. 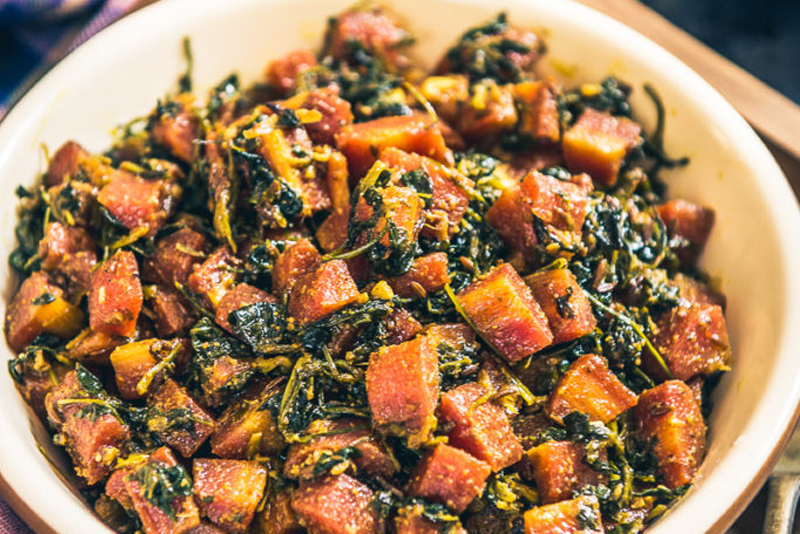 This Sabzi is prepared easily and saves a lot of time. Gajar Methi ki Sabzi is prepared with chooped carrots and methi, cumin seeds, oil, red chilli and turmeric powder. Eating Gajar Methi ki Sabzi with Hot Chapati and with also lots of butter is just a deadly combination. 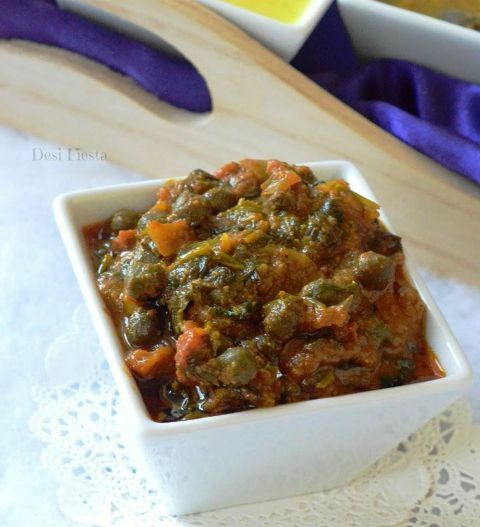 it’s a great combination of vegetables and Cholia which are mixed and later cooked. Basically Cholia is chickpea or green chana which is commonly found in Northern India. Hara Dhania Cholia is prepared with Cholia, coriander leaves, onion, tomato and powders of red chili, coriander, cumin and turmeric. 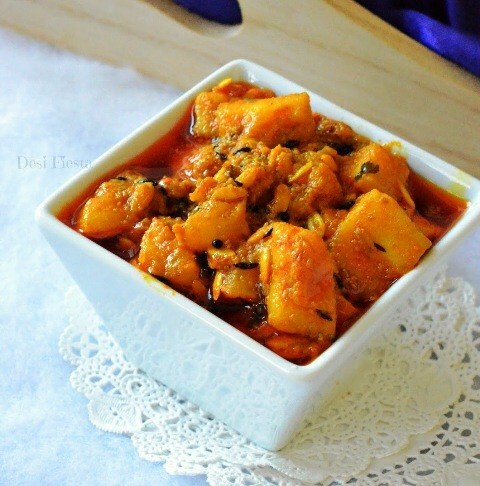 It’s the perfect authentic and unique Haryanvi Dish which one must try at least once. Haryana has a very healthy staple in Bajra Aloo Roti. If you want to eat the finest Roti’s, then there’s nothing better than Bajra Aloo Roti. 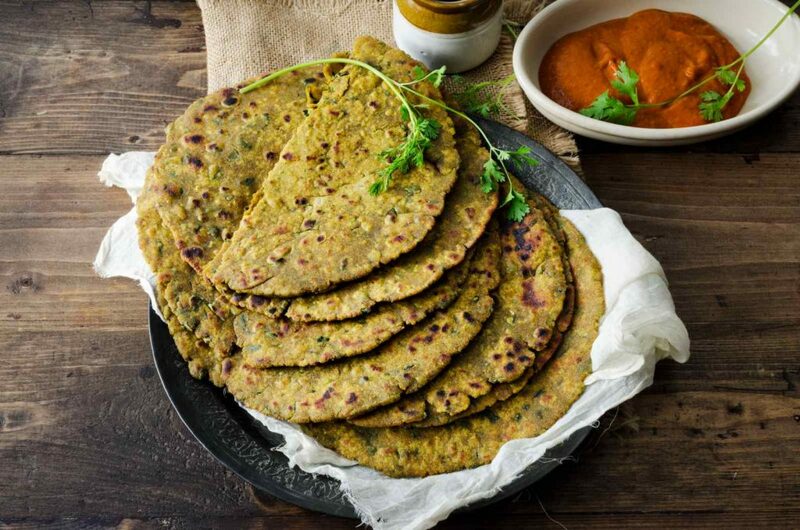 It’s prepared with the mixture of Bajra flour, mashed potatoes, onions, ginger garlic paste, garam masala and coriander leaves to garnish it. Bajra Aloo Roti is served with butter on it and this roti tastes Heavenly Good.. It is prepared with a mix of bajra flour, mashed potatoes, ginger garlic paste, coriander leaves, and garam masala. It served hot with white butter and it tastes heavenly. Pinni is usually very famous sweet Cuisine of Punjab, but in Haryana, Alsi ki Pinni is very famous. It’s prepared with Alsi (Lin Seed), whole wheat flour, ghee, sugar, nuts and cardamom powder. This healthy sweet of Haryana is unarguably the sweetest sweet of the cuisine. 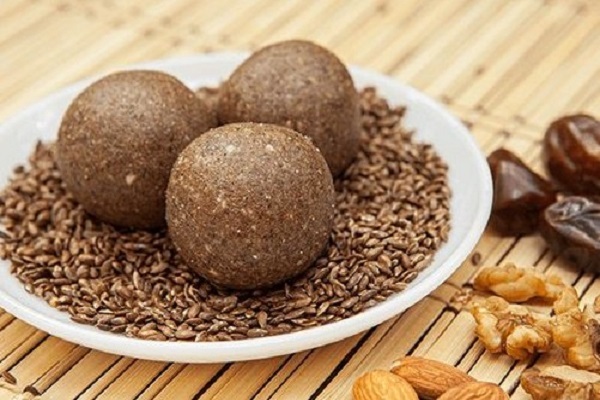 This Pinni is very healthy and good for joints. Mostly our elders eat to stay fit in winters. Mithe Chawal is the staple sweet cuisine of Haryana. 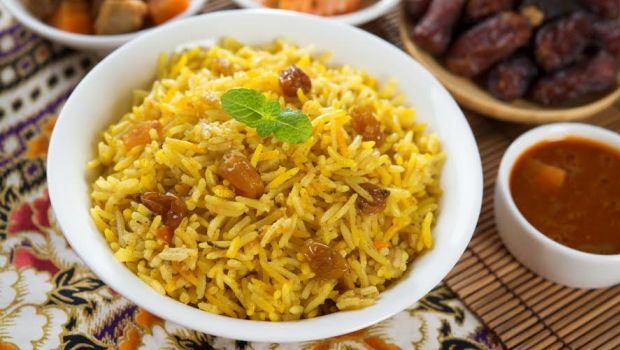 It’s prepared with basmati rice, sugar, ghee and little bit of saffron and cardamom. This Mithe Chawal tastes so scrumptious that it’s impossible to say ‘No’ to this dessert of Haryana. This dish is also famous in Punjab . 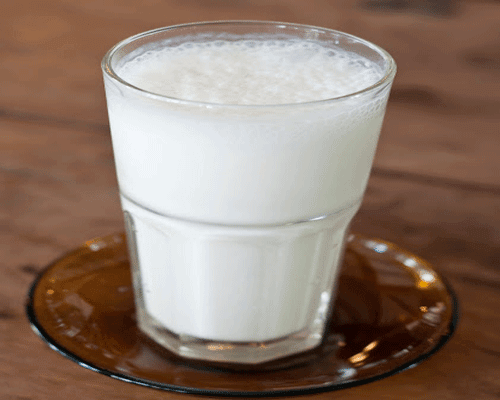 It is different from the normal Lassi because this Lassi not use yogurt in it.Lassi is prepared with milk, chilled water and rose syrup, sugar and ice cubes. This Lassi tastes so mesmerizing that you just want to drink it daily. This Lassi keeps you refresh in summers. 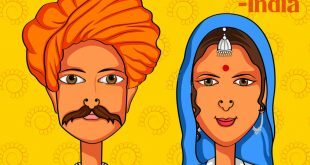 With the essence of earthiness,These famous Haryanvi dishes is definitely worth a try. Do tell us, which dish you liked and which one would you love to savor!